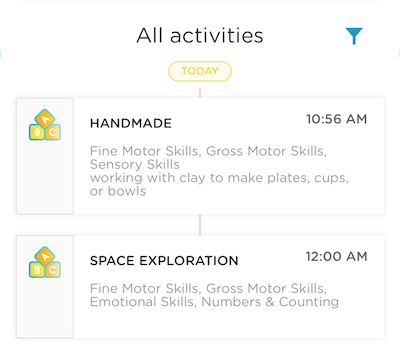 Learning activities are a fantastic way to track activities that target specific developmental skills for children. 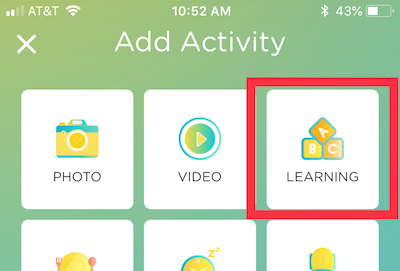 You can also use this option to record activities that are not otherwise offered in Kinderlime's activity section. Want to keep track of how children are doing in circle time? How about sensory learning, math or science experiments, or activities that focus on literacy? Our learning activity option is customizable, so you would really only be limited by your own needs and imagination. This article will focus on how to record a learning activity and view previously recorded activities. 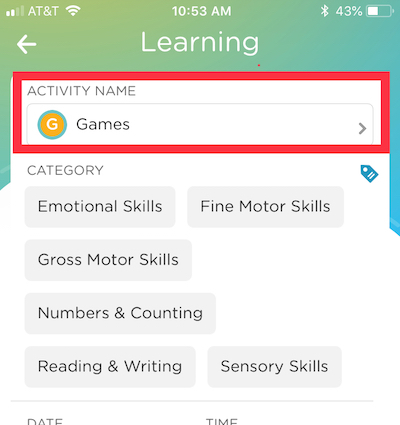 Please click here to learn how you can customize the learning activity names and categories to suit your school's needs. Step 3: Tap on the Activity Name bar to choose an activity from your list. Tap on the Categories that you want to add with the activity. See the image below for how the Learning Activities will appear in the child's activity feed. The name of the activity will actually be the Activity Name that you selected. Click here to learn how to record or edit Learning Activities from our website.